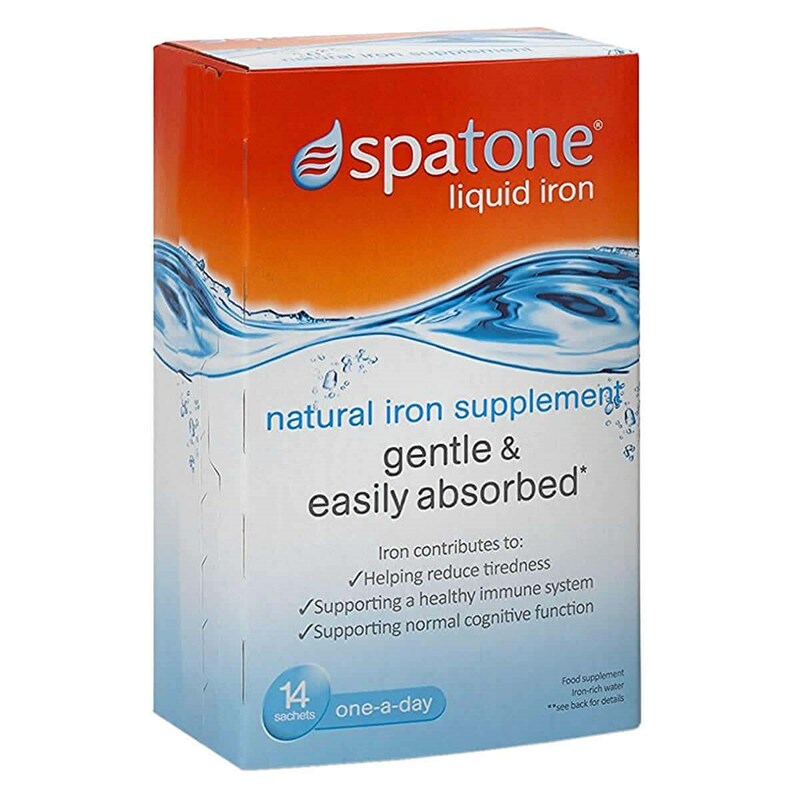 Spatone Iron is a 100% natural liquid iron supplement that has been proven to be a highly absorbable source of iron, avoiding constipation and stomach upsets and helping to prevent iron deficiency - even during pregnancy! Contains:- 5mg Elemental IronFree From:- gluten- lactose- preservatives- artificial colours- artificial fragrances- sweetener- sugar. Spatone Iron is ideally taken diluted in orange juice in the morning on an empty stomach or in between meals. It is advisable to leave 30 - 45 minutes between the consumption of iron supplements and the consumption of drinks (with the exception of water) and food. Vitamin C (e.g. in a glass of orange juice) is well recognised to improve the body's ability to absorb iron. If you can’t tolerate orange juice try apple, mango, pineapple, or tomato juice – all rich in Vitamin C but low in tannins. Spatone can also be taken neat or diluted in water. If you don't want to take Spatone first thing in the morning you can also take it at night before going to bed. During pregnancy you can safely take up to two sachets a day to keep your iron levels topped up. Either take two sachets together or one in the morning and one in the evening - whatever suits your lifestyle best! Thank you for your interest in Spatone Natural Liquid Iron Supplement. Enter your email and we'll contact you as soon as it's available again.